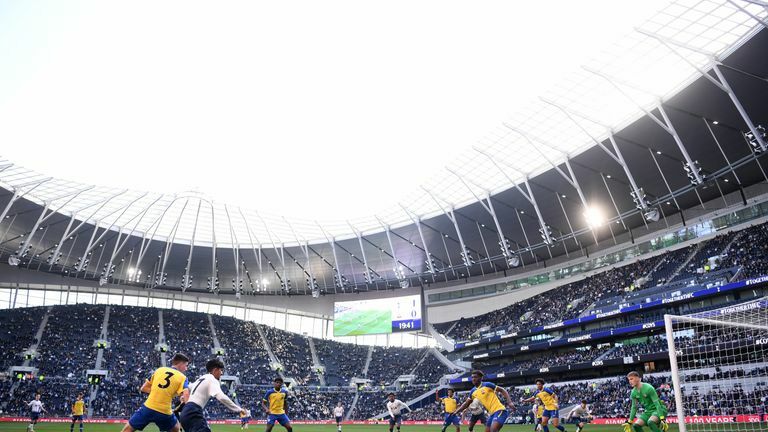 Tottenham’s U18 team are the first players to grace the new stadium as Sky Sports News witnesses its grand opening with some very emotional fans. Mauricio Pochettino said he felt like crying after watching Tottenham’s new stadium finally host its first football match. J’Neil Bennett made history when he became the first scorer at the Tottenham Hotspur Stadium, setting his side on the way to victory in the 11th minute with a lovely curling effort from the left. Harvey White and Dilan Markanday also notched for Spurs while Kornelius Hansen became the first opposition player to score when he bagged for Saints.